Please enter your serial number: It is found on the back of the scanner. Your scanner must be pre-registered with SwatchDog. 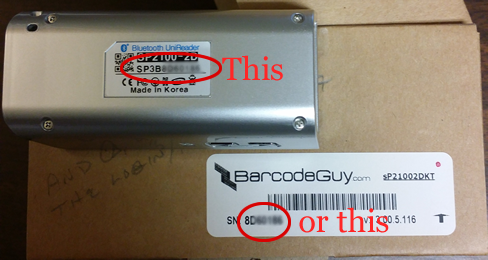 Enter either the entire Serial number ex:SP3B8XXXXXX (11 characters), or the last 7 characters of the s/n.